In the morning drive to the railway station for the train to Shimla. The British called Shimla the "Queen of Hill Stations." 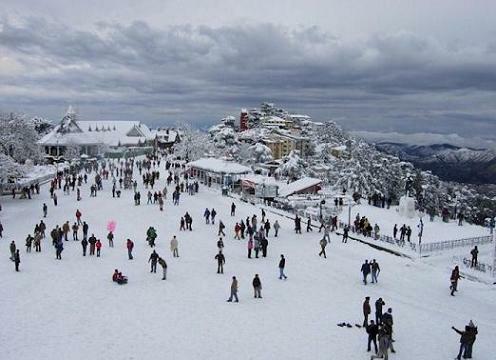 Shimla is situated in the northwest Himalayas and one of the India's most popular hill station. It was the summer capital of India before independence and is the capital of Himachal Pradesh. Shimla derives its name from "Shyamala" the goddess Kali, whose temple existed in the dense forest that covered Jakhu Hill in the early 19th century. In the evening arrive at Shimla railway station and transfer to hotel. Today in the morning after having breakfast we have sightseeing in Shimla. In our sightseeing we visit the Gothic Christ church. This Christ church is located on the Shimla’s prominent Ridge. Even today, the church has some interesting memorial tablets while the pews still mark the seats of British Viceroy of India, the Commander-in-Chief and the Punjab’s Governor. Later we visit the Jakhoo Hill. It is the highest point in Shimla and offers a spectacular view of the town, hills and distant mountain ranges. The peak has a temple dedicated to the Lord Hanuman. After visiting the temple we return back to hotel. In the evening we move around in the famous Mall and Ridge. Overnight stay at the hotel. Today we drive from Shimla to Manali and enroute visit the town of Mandi. The landscape here is breathtaking. One can see spectacular views of well-defined snowcapped peaks and wooded slopes. The Beas River rushes along its rocky course amid grassy meadows carpeted with wild flowers and wagtails hop along from stone to stone along the stream's edge. On the other side are deodar and pine trees, tiny fields and fruit orchards. Manali is also known as the Switzerland of India. In the evening arrive in Manali. Overnight stay at the hotel. 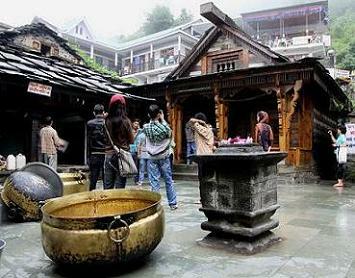 Today we have half day sightseeing in Manali and visit Hidimba Devi Temple, Vashisht Hot Water Spring and Monastery. Hidimba Devi temple was built in 1553. This temple has a superbly crafted four-tiered pagoda roof and famous for its exquisitely carved doorway. Vashishth Hot Water Springs are the well known hot water springs. There are old temples dedicated to the sage Vashishth and Lord Rama. In the evening we visit a small Tibetan monastery which houses several Buddha images. Today we drive from Manali to Kaza over the Rohtang Pass (3980 m) and over the Kunzam Pass (4558 m). The Rohtang Pass connects Lahaul with Manali. The word Rohtang means the pass that is littered with dead bodies. There is a tale behind this pass. It is believed that when the Pandavas where in exile, the Bhima, kicked the hills aside to make the way for them. According to some other people, the Lahaul’s deity, Gyephang, smote the peaks with his whip to create the pass. In the evening reach Kaza. Overnight stay at the hotel. In the morning we will visit the Ki monastery, about 12 kms from Kaza and located high above the left banks of the river Spiti. This monastery is a collection of rooms and corridors, that do not follow any defined plan, but which seem to have grown over the years. It houses rare and valuable thangkas, paintings and manuscripts of the sacred Tangyur texts. This gompa also has a large assembly chamber lied with religious paintings and other chambers for worship and gatherings. Today we will also visit the small gompa at Kibber. Kibber has the distinction of being the highest permanently inhabited village of the region. Today we have a full day excursion to Langza, Hikkim and Comic villages. In the evening return back to the hotel in Kaza. Today we drive from Kaza to Tabo and enroute visit Kungri Monastery in Pin Valley. Later we visit the Dhankar gompa. 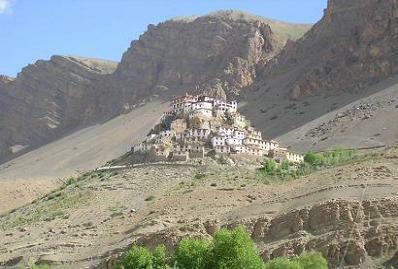 Dhankar means a fort, and this monastery was once a the castle of the ruler of Spiti, the Nono. 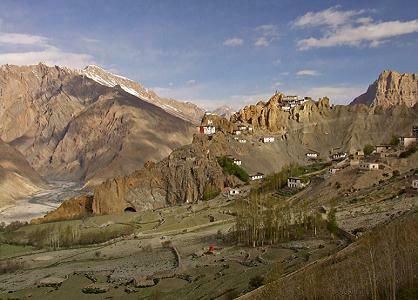 This monastery is perched high over the valley, and a superb example of Spiti’s traditional architectural skills. After visiting Dhankar gompa we move towards Tabo. 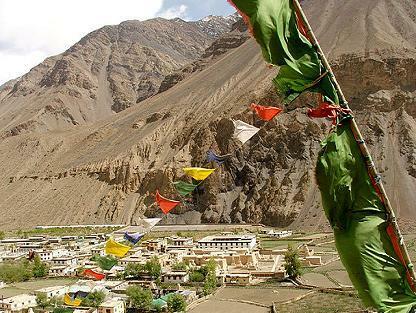 Tabo is the largest monastic complex in Spiti and has nine temples, twenty three chortens, a monks and a nuns chamber. Overnight at hotel. In the early morning, the monasteries in Tabo looks like a series of large mud huts. The whole day is free to explore Tabo. Today we visit the Tabo 'Chos - hKhor’ or Doctrinal Enclave. It is located next to Tibet’s Tholing gompa, and was founded in 996 AD by the great teacher Rinchensangpo and is renowned for its breathtaking murals and stucco statues. Besides this, there are several caves which are adorned with frescoes and contemporary structures. The whole day is free for leisure. Today we drive back from Tabo to Kaza and enroute visit Mane village. There is a very small monastery at Mane. On arrival in Kaza transfer to the hotel. Today we drive back from Kaza to Manali. Overnight stay at the hotel in Manali. Today we drive from Manali to Chandigarh. Chandigarh, derives its name from the Chandi Mandir temple located in the vicinity of the city and a fort or ‘garh" beyond the temple, called Chandigarh. 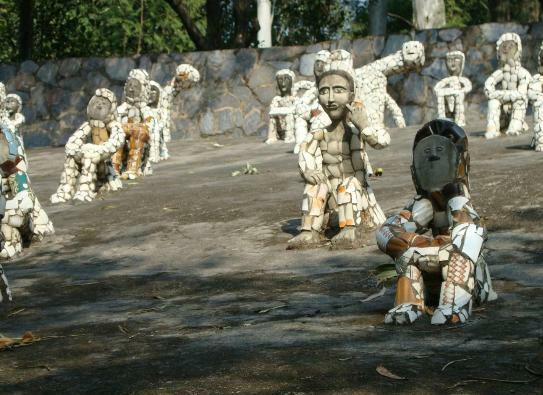 Chandigarh is a union territory, administered by the Government of India and was designed by Le Corbusier. In the evening arrive in Chandigarh. Overnight at hotel. In the morning transfer to the railway station to board train to Delhi.